Also open for special events. Be sure to check out our Calendar of Events. Open for special events and for groups with reservations. Annual Memberships: An individual membership may be purchased for $30. It is valid for one full calendar year. and an unlimited number of children as long as they are living under the same roof. Members receive complimentary admission to Jam Night, Quilting Circle, and general museum entry. Members also may receive discounts on facility use and special events. 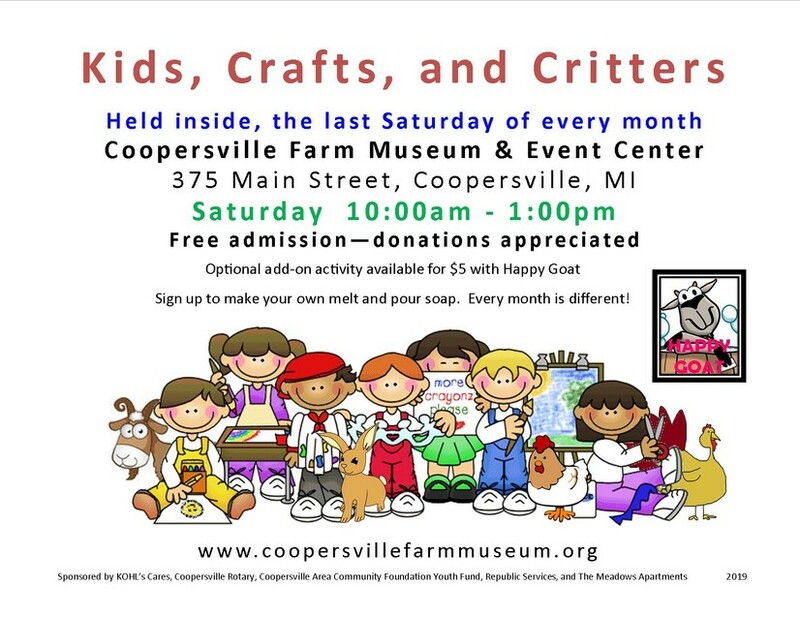 Book an event using the facilities at the Coopersville Farm Museum. Groups of 10 to 150 people can be accomodated. Fees vary according to size of group, type of set up, length of use, and day of the week. Call today to request a facility use brochure with details outlined. 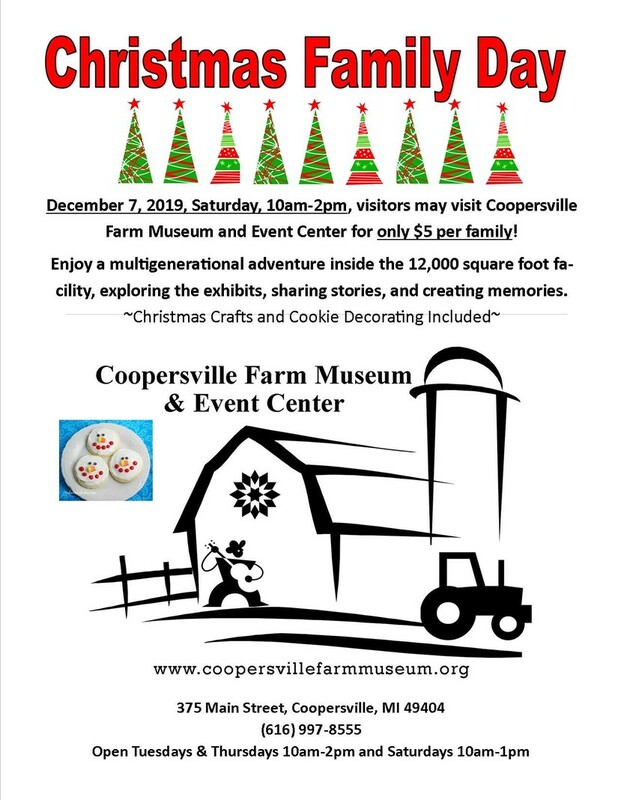 Coopersville Farm Museum staff is happy to work with you to make your event fun and memorable. Tours/School Groups - rates are same as above, however complimentary admission is provided for organizer, driver, and/or teachers. Member discounts available in many cases...remember to show your membership card when booking an event!